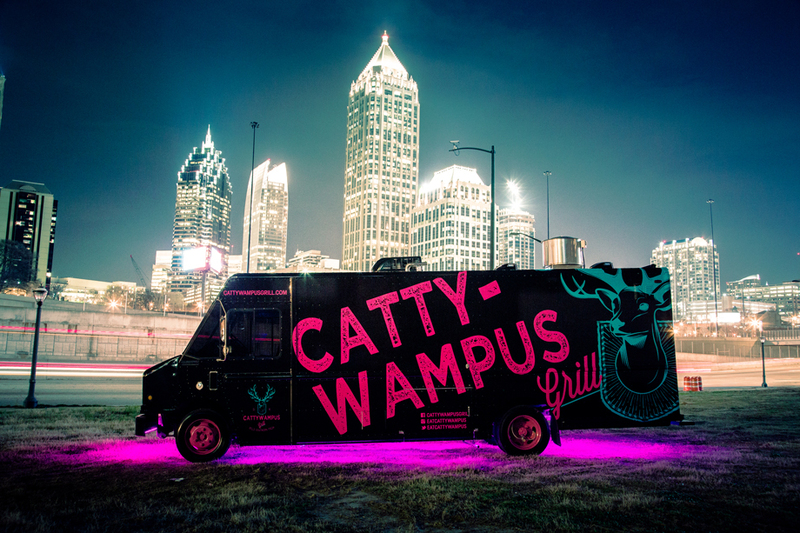 This one-of-a-kind food truck brings a Bahamian specialty—conch meat—to landlocked Atlanta. The menu is limited to the eponymous conch fritters served with dipping sauce, seasoned fries, and conch salad. If you’re looking for something with a Cajun kick or a wide-ranging selection, here’s your truck. Think po’boys, jambalaya, gumbo, pizza, wings, desserts, and even a breakfast menu. Baked to order cookies? Sign us up. Choose from fresh unorthodox toppings like rosemary and dried papaya, as well as some not-so-fresh ones like Fruity Pebbles. Also available: Cookie cakes and cookie pies. If you can’t make it to any of their events, don’t worry—they deliver. Cajun classics like roast beef sandwich, Cajun chicken salad, deep-fried rice balls, and gumbo, ring in at under $10. Only the muffaletta will run you more than $10. Emma’s Bistro casts a wide net, from teriyaki chicken and mostaccioli Romano to “jazzy” jambalaya and a Mediterranean beef pita wrap. In the dead of summer, what more could you want than Italian ice? This truck offers nine flavors (all of which are gluten, dairy, fat, and cholesterol free), and even more gelato flavors—including a seasonal spiced pumpkin flavor. Mix and match two scoops of their Italian ice and one scoop of their gelato to create your own cool-down combo. 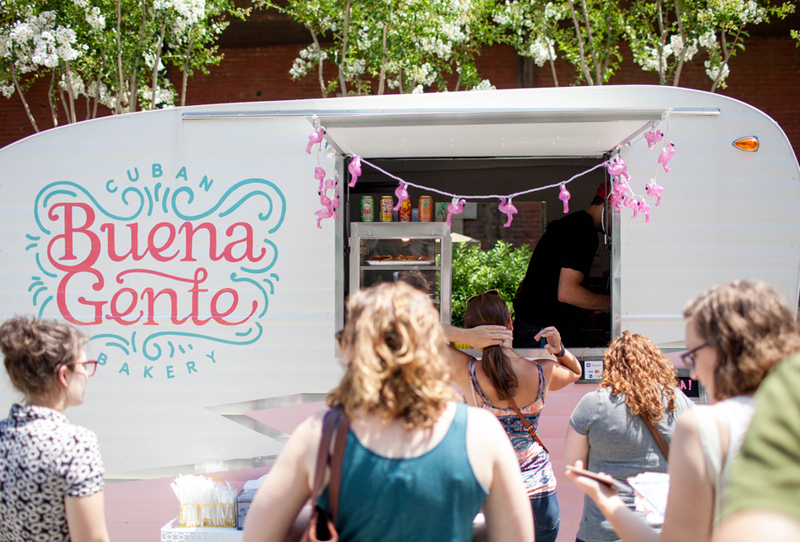 Buena Gente brings Havana to Atlanta with its Cuban pastries and desserts, sandwiches, and coffee. Look for flan, empanadas, and Cuban sandwiches. Owners Shane and Shayla Betterton zero in on Southern comfort with entrees like the grilled cheese sandwich and the self-explanatory “Cluckin’ Waffle.” Sides include grit fritters and three-cheese macaroni and cheese. Missing snowfall? Here’s how to get by in the meantime. Sno-Good Sno-Balls provides over 40 different flavors of snow cones, from Georgia Peach and Famous Pink Lady to five different sour flavors. What doesn’t this food truck make? Mexican food, pizza, burgers, sandwiches—there are “too many to list,” according to its website. Sides range from potato wedges and quinoa salad to baked zucchini fries. Co-owners Ashley and Ronald Carlton bring family cookie recipes like chocolate chip or peanut butter chocolate chip with pretzels to the roads and parks of the metro-Atlanta area.